Nothing ruins a backpacking trip more than a foot full of blisters. 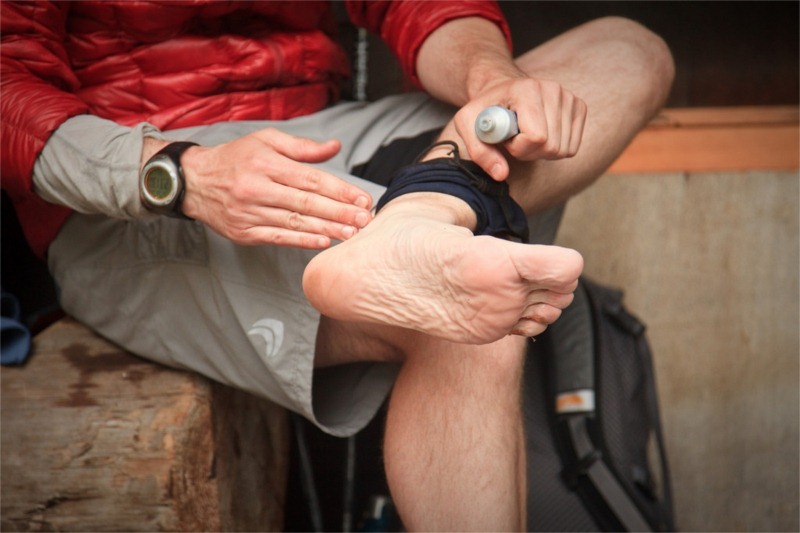 Whether you&apos;re a traditionalist with heavy leather boots, going the Ultralight way with trail runners, or breaking new ground with funny rubber feet, you will benefit from a little preventative maintenance on the trail to ensure fond memories. Before blister form you will start to feel little hot-spots in your feet. If you start to get the tiniest sensation of this then STOP IMMEDIATLEY and apply prevention to the affected area. Don&apos;t just ignore it and hope it will go away in a mile or two. A recent discovery for me is Hydropel. It&apos;s a thick Vaseline-like foot lubricant that goes on thick and provides and excellent barrier between your feet and socks. I find that one application of Hydropel each morning lasts all day and keeps the doctor away. Forget moleskin and messy tincture of benzoin. 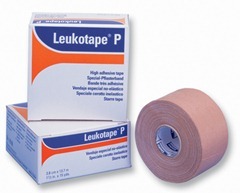 Leukotape welcomes you to the twenty first century. This is a very strong rigid tape that is easily torn to size. Once applies the zinc oxide adhesive makes sure it&apos;s not going anywhere. 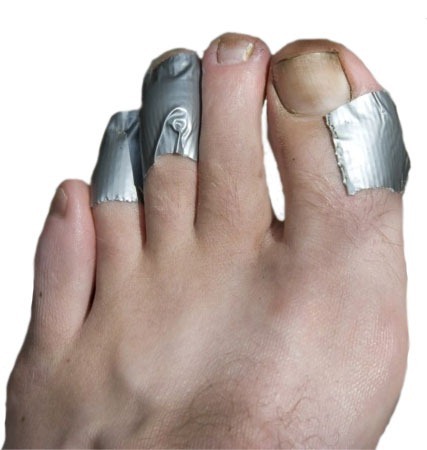 No matter if you have freshly bathed stream feet or sweaty hydropel stink feet, this sucker isn&apos;t going to come off in a hurry. 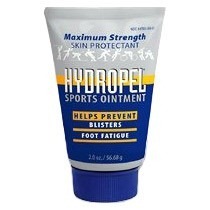 Does a great job at preventing further irritation and friction on a developing blister. In a pinch, duct-tape works surprisingly well also. Hot tired feet at the end of the day? Make sure you clean then really well each night. Dip them in a nearby river and wash away all that grime. With ultralight shoes, the quick-drying mesh means that a lot of dust and soil penetrates both shoes and socks, so filthy feet ensue. 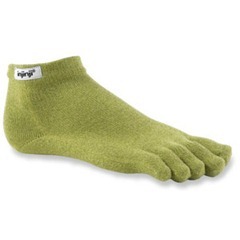 Injinji makes some pretty cool toe socks. Designed to separate your toes with a special anti-friction membrane that is light and breathable. These suckers are actually surprisingly comfy. If you&apos;re prone to blisters between your toes – these could be just the ticket. 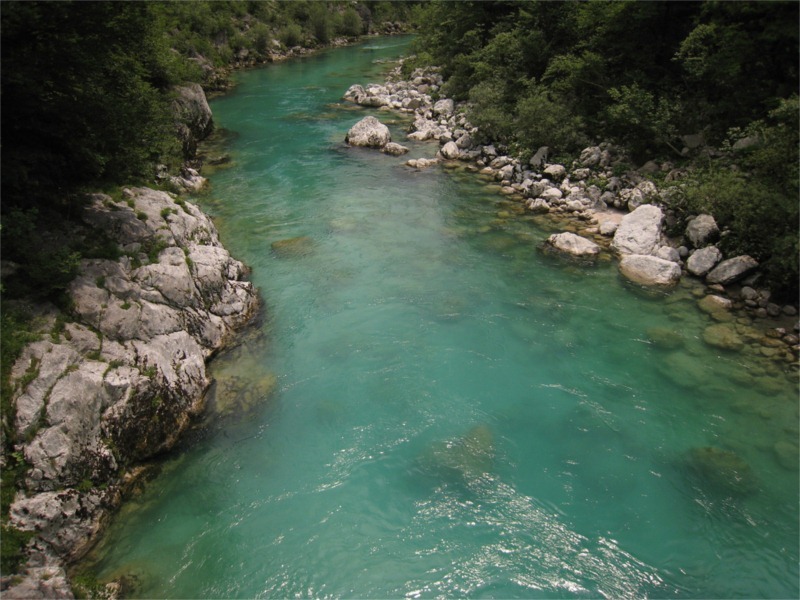 This entry was posted in Backpacking, Gear Talk on June 28, 2010 by brettm. i would also add: for a multi-day trip, i find a clean pair of socks each day to go a long ways towards preventing problems. the socks are light and small enough that i don’t feel too badly splurging on the extra weight and space. if nothing else, bring several pairs so you can alternatively wear one pair while the other is drying after a nice stream rinsing. so whats your latest stance on Mens Shoes? your favorite pick. waterproof a must. i just moved to portland and am excited to get back into backpacking. never had to deal with cold or wet weather. any help would awesome. kyle – i’m a big fan of lightweight running shoes – if (and only if) you can get your pack weight light enough. see the shoes on my gear list page for notes.